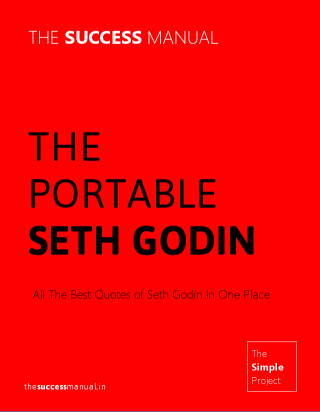 Seth Godin is a popular blogger (known for his pithy but insightful posts) and writer, who has given us some all-time great ideas behind marketing (both business and personal). This small collection is an attempt to summarize the best ideas from Seth's five most popular books: Permission marketing: turning strangers into friends, and friends into customers (1999), Unleashing the Ideavirus (2001), Purple Cow: Transform Your Business by Being Remarkable (2003), Tribes: We Need You to Lead Us (2008), and Linchpin: Are You Indispensable? (2010). Enjoy this unique collection of great advice.